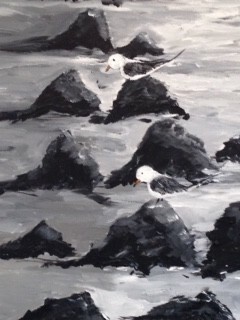 Jo Ann Zambito | Patchogue Arts Council, Inc. I am a Long Island local artist. 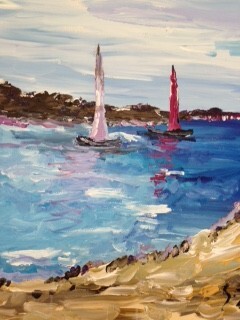 I live in the Patchogue area and enjoy painting various land and seascapes on the Island and upstate areas. I also focus my creativity in life drawing, photography, fabric painting and sculpture. I use a variety of mediums and create on site. My work has been shown and sold at EEAC, Phoenix Gallery, PAC, The Depot Gallery in Montauk, and Guild Hall in East Hampton. My education includes – B.S in Fine Arts and Art Therapy. Masters (pending) -Art Education – Dowling College. 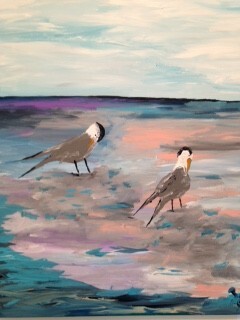 I instruct art classes through various township organizations and at the Depot Gallery in Montauk. Publications include Dan’s Paper and the Montauk Pioneer. I recently retired from The Office of People with Developmental Disabilities employed as a Program Manager II where I worked diligently with people with physical and mental handicaps to achieve the highest of their potential. I was employed for 35 years. I now focus on my art entirely. Creating is an important part of who I am.